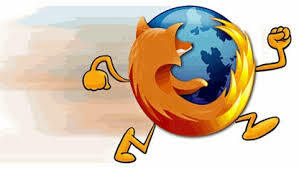 In this post i will show how to increase your Firefox browsing speed. Before showing you how to increase the speed i will tell you about pipelining. Pipelining: Pipelining is a data processing concept. For a data processing, there will be two buffers, fetching buffer, and the another one will be processing buffer, the input can be faster, but the processing speed will be low. So, the remaining data fetched that are in advance, are stored in the buffer queue and sent to the processing unit for processing the data. In some systems, where several processes take place, the data processing is done after receiving all data in the fetch buffer, and then sent wholly to the processing area, the same concept applied in browser’s content fetching, since, a webpage might be contained of images, text, sound files, video files, they are all need to be fetched before being displayed on the page, and the webpage will be loaded immediately after fetching all the contents. An example, you can consider is the INTERNET EXPLORER which loads data before displaying the page as seen in the status box in a loading progress bar, but, this, creates timeout problems, so, the pipelining concept is to fetch the data and display the partially processed content, that, is the webpage starts to display the contents initially while fetching the data itself, and then slowly the contents are displayed which can give the user a good satisfaction and know at the beginning itself, what is in the website and can terminate loading. If you are familiar with the pipe-lining concept, then you will be able to understand this trick easily. 3. Lastly right-click anywhere on the blank area and select New Integer. Name it “nglayout.initialpaint.delay” and set its value to “0“.This value is the amount of time the browser waits before it acts on information it receives. And now you are done. Load any page and now you will feel the difference. Thanks to PV4nti for the tricks!